This discussion about teen safety tips for traveling abroad is sponsored by Wearsafe for IZEA. All opinions are 100% mine. This year, my daughter is a Freshman in the high school band. We found out last year that the high school band would be traveling to Europe this year to march in the New Year’s Day parade in front of the Queen. Sounds like an amazing opportunity, right? Sure. Except that my daughter is only 14 years old and I am not that keen on her traveling abroad at such a young age. I might be an overprotective mom but that is my baby girl right there and the state of international affairs recently has me seriously worried about her safety while traveling to Europe. 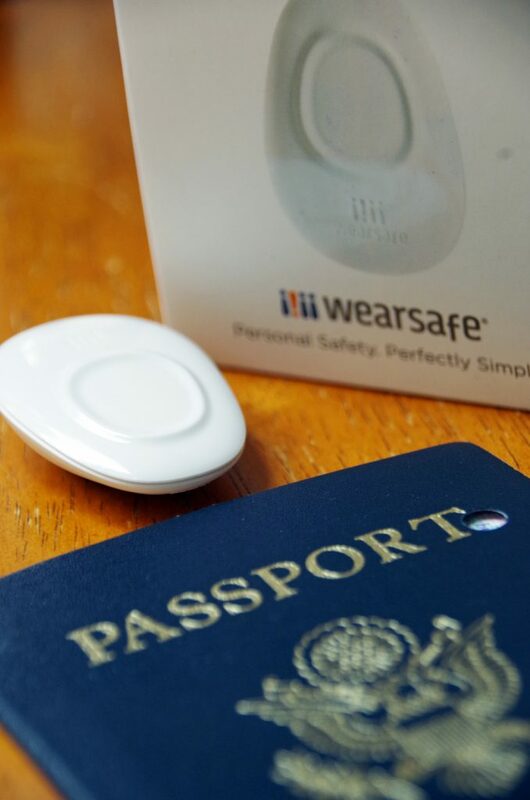 When Wearsafe contacted me about a personal safety device perfect for staying safe while traveling abroad, I knew I wanted to check it out. I wanted my daughter to have the experience of traveling abroad with the band but I was still hesitant. I decided I needed to be there in case of an emergency so I booked myself a ticket as well. I am also going to go over a long list of teen safety tips with her before we hit the road. I won’t be with her every moment and she needs to know how to take care of herself if there is an emergency. If your teen will be traveling abroad any time soon, here are a few teen safety tips to share with them before they leave. Leave a detailed itinerary at home: Make sure that someone at home knows exactly where you will be on any given day. Leave names and phone numbers of hotels, contact information for tour agencies, bus schedules, and whatever other information might be needed in an emergency. Have a shared financial account: An easy way to keep track of your child is to see where they are accessing their money from. 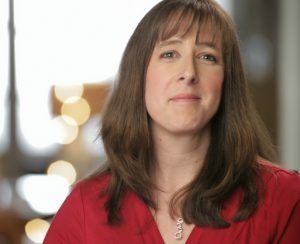 It is also a great way to make sure that no one ELSE gets access to their money. Inform the appropriate agencies that they will be traveling so they know to expect international transactions. Before sending your teen off on a trip abroad, make sure you access to any bank or credit card accounts they’ll be using. And accessing a financial account while traveling abroad is much safer than sending them with a bunch of cash! Follow them on social media: Know where your child is and what they are doing by following them on social media. Teens post everything online nowadays and it is easy enough to sneak a peak at their Facebook or Instagram profile to see the latest updates. Talk to your cell phone carrier about an international data or texting plan to help save money on communication. Make a copy of all important documents: Traveling abroad isn’t always easy and sometimes things get lost in the shuffle. Make copies of important documents to keep at home. 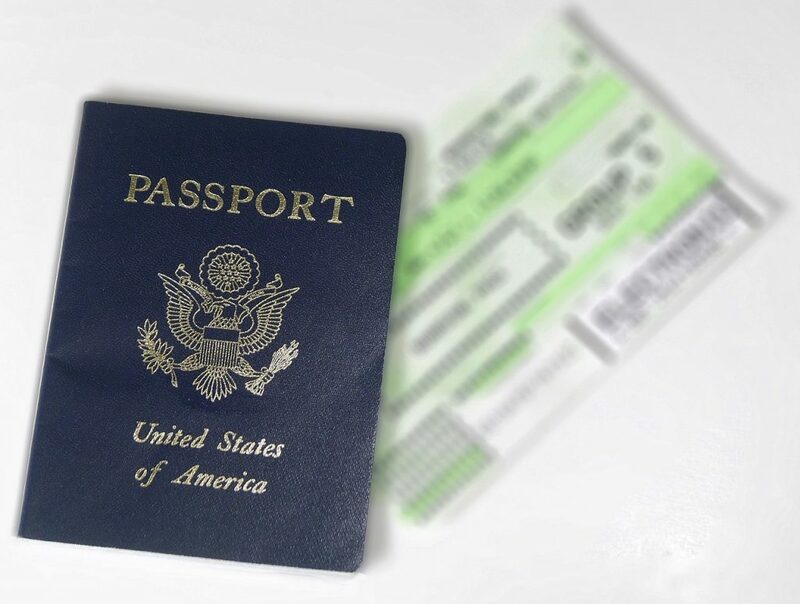 This includes things like passport, driver’s license, bank and credit cards, travel documents, flight reservations, hotel reservations and any other important info. Enroll them in STEP: The Smart Traveler Enrollment Program (STEP) is a free service that allows U.S. citizens traveling or living abroad to enroll with the nearest U.S. embassy or consulate. It is rugged, water resistant, and can be worn many ways so you can always keep it with you. 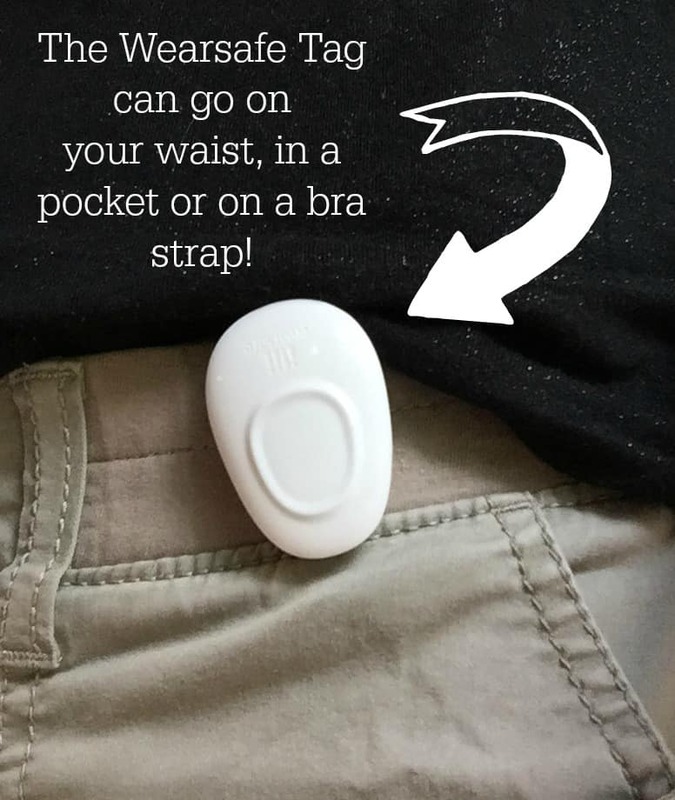 Each Tag comes with a ring and clip attachment so you can wear it however you want. As a keychain, clipped to a waistband or bra strap, or on a lanyard. It has a GPS tracking system in it so it can track your movements to relay to those who might need to locate you. 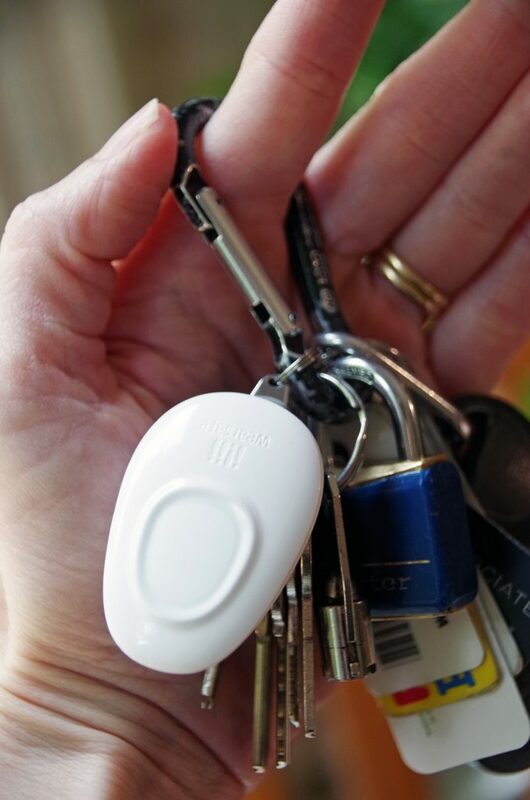 In an emergency, once you press the Tag, the bluetooth-paired app sends an alert to your personal network. You can set up different networks, depending on who you want to call in an emergency — your friends, coworkers, family. Prefer to send an alert through the app? Send an alert right from the home screen of your mobile phone. It’s incredibly inexpensive to use! Just $5 per month to send alerts, responders are free! The device itself is FREE with the $5 monthly subscription and there are no commitments in terms of how long you subscribe. When you send the alert, the button shares your location, audio of current surroundings, and it connects to a group chat so the right help can get to you faster. Just a push of the button sends an audio file of 60 seconds before the ‘event’. Being able to hear what is going on gives the context of what is happening to first responders. Include medical information in your profile so that when an alert is sent, responders can view the sender’s profile and personalized medical information. Helpful for drug allergies, diabetes, or a number of other health alerts a first responder might need to know. 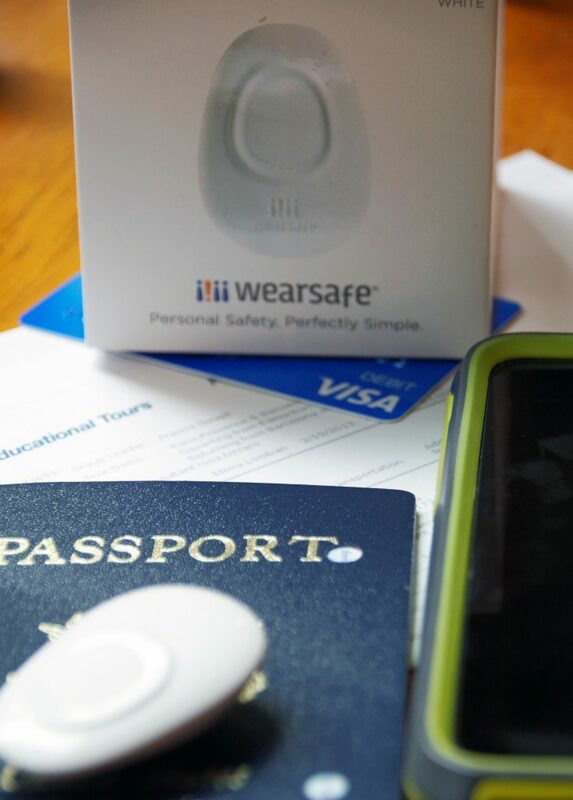 The Wearsafe Tag and accompanying app is a great idea for keeping teens safe when traveling abroad. In fact, it is a great asset for ANYONE traveling abroad! If you are searching for teen safety tips before sending your child overseas, I definitely recommend checking out the Wearsafe system. There is no other product on the market that will keep your daughter (or son) safer than Wearsafe. This is the only product to offer audio, GPS and group chat. My daughter’s trip still makes me nervous. The state of international affairs in the last few years has me concerned about her safety when I can’t be with her during this trip. I don’t want to stomp on her ability to stretch her wings and explore independently but I do want to know that she is safe. Having her connected to the Wearsafe tag and knowing that I will be alerted in an emergency is a nice peace of mind. 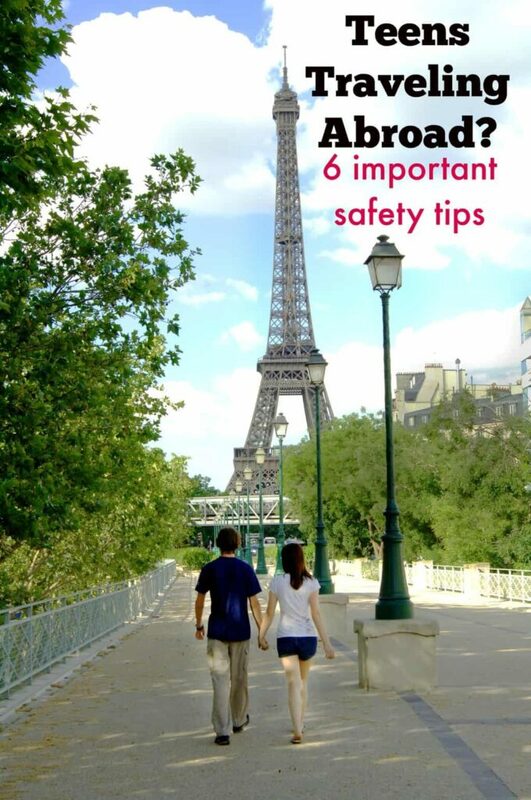 Have any other teen safety tips to share for traveling abroad?